18+. New players only. One bonus offer per player. Minimum deposit £20. Max bonus bet is £5. 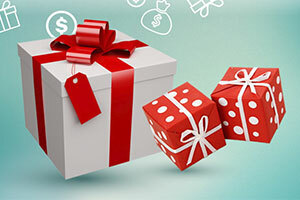 Bonus spins on selected games only and must be used within 72 hours. 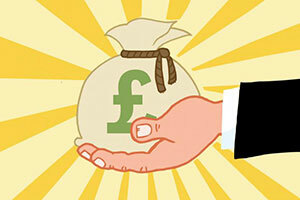 Bonus funds must be used within 30 days otherwise any unused bonus shall be removed. Bonus funds are 100% match up to £250 on your 1st deposit, 50% match up to £500 on your 2nd deposit, and 75% match up to £500 on your 3rd deposit. 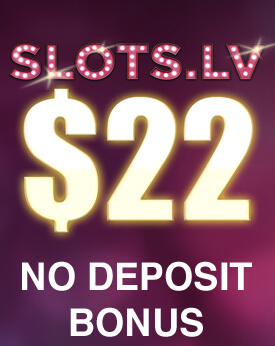 Bonus funds are separate to Cash funds, and are subject to 35x wagering the total bonus, cash & bonus spins. Terms apply. BeGambleAware. Spin Station is a relatively new online to casino to hit the scene. 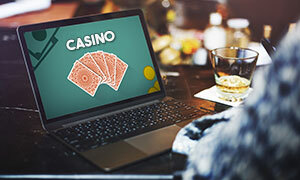 This casino is operated by White Hat Gaming Limited, a Maltese company that is responsible for several other gambling brands, namely 21 Casino and Spinland, among others. This company is licensed by the Maltese Gaming Authority and the United Kingdom Gambling Commision, giving it some legitimacy when it comes to offering a fair gambling experience. The gaming library is put together from the software of several different software provider companies in the online gambling industry. At Spin Station, you will find games from the likes of Microgaming, NetEnt, NextGen Gaming, Quickspin, Leander Games and more. These include every major casino genre, such as slot, progressive jackpots, blackjack, roulette, video poker and live dealer titles. 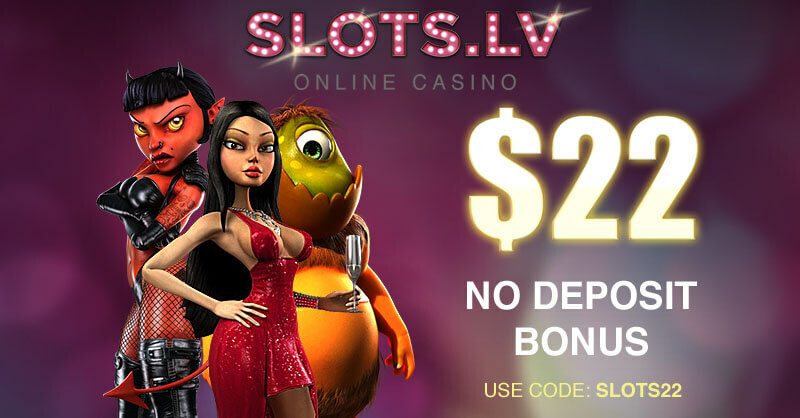 All of the games can be accessed directly from the casino website thanks to the instant play interface. A mobile version is also supported for those who like to gamble on the go and it is accessible in the same way as the desktop one. Spin Station supports a number of payment services which you can utilise to manage your bankroll. These range from credit cards to eWallets to prepaid cards and each will provide you with particular advantages. More specifically, you will have at your disposal payment methods like Visa, MasterCard, Skrill, Neteller, Paysafecard and other popular transaction solutions. Deposits are instant, for the most part, while withdrawals are issued after a review period of up to 24 hours. The casino supports several of the most popular international currencies, ensuring that you can fund your bankroll regardless of your country of residence. Customer support is available from the very moment that you open the Spin Station website. The support staff works around to clock to ensure that you always have access to their services. You can contact an agent via live chat and email, both of which are efficient and convenient methods. Additionally, the casino is available in multiple European languages, namely, in English, Finnish, German, Norwegian and Swedish. Online Since Spin Station was established in 2016. Minimum Deposit/ Withdrawal The miimum deposit is £10 and the minimum withdrawal is £30. Welcome Bonus Spin Station offers a 100% match on your first deposit up to £250 and 20 free spins on Startburst; a 50% match on your second deposit up to £500 and 50 free spins on Gonzo’s Quest’; and a 75% match on your third deposit up to £500 and 30 free spins on Twin Spin. A minimum deposit of £20 is required and this offer is valid for new customers only. Wagering requirement amounts to 35x on both bonus funds and free spins winnings. Deposits made via Skrill and Neteller are not eligible. Maximum bet is limited to £5.00 for the wagering. Expiration period is 30 days. Loyalty Programme Spin Station Tour: for every £100 that you deposit to the casino and for every £10 wagered twice you earn 1 point. When you reach 1,000, you automatically earn 1 entry into the monthly Mercedes-Benz SLC prize draw. 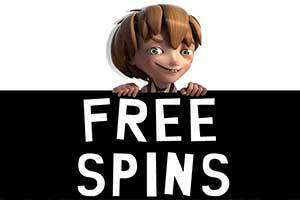 Software Spin Station is powered by Microgaming, NetEnt, NextGen Gaming, 1x2Gaming, Leander Games, and Quickspin. Popular Jackpots Popular jackpots include Major Millions, The Pig Wizard, Mega Moolah, Mega Moolah Isis, King Cashalot, Vikings of Fortune, Star Spinner, Rome and Juliet, Irish Riches Megaways, and more. Game Types Spin Station offers slots, progressive jackpot titles, roulette, blackjack, casino poker, baccarat, video poker, and live dealer titles. Live Casino The live casino at Spin Station includes roulette, casino poker, baccarat, blackjack, and Dream Catcher. 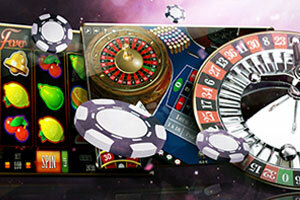 Mobile Casino Spin Station fully supports gaming on mobile devices. The casino can be accessed via the browser of the smartphone or tablet. Deposit Methods Spin Station accepts payment via Visa, MasterCard, Trustly, Sofortuberweisung, Paysafecard, Skrill, Neteller, Bank Wire, and Interac Online. Currencies The casino supports AUD, CND, EUR, GBP, NOK, NZD, SEK and USD. Languages Spin Station is available in English, German, Finnish, Norwegian and Swedish. Support Customer support is available via email and live chat. Licenses Spin Station is licensed by the Malta Gaming Authority, Curacao and the United Kingdom Gambling Commission. 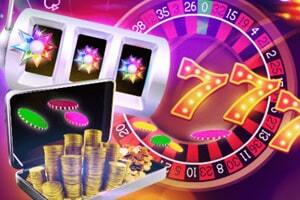 The games selection of Spin Station is one of the main reasons why you would want to join this online casino. It includes hundreds of different games, provided by the best software providers in the industry. You will have at your disposal various slots and table games, while the live dealer selection will give you the opportunity to get that authentic casino experience. Below, we will go more into detail about what awaits you at Spin Station. With a name like Spin Station, you would expect the casino to have something great to offer you in the way of slots. As it happens, you should certainly keep that thought, as Spin Station has an excellent selection of high-quality video slots, all accessible with a single click. The range of slots at Spin Station is something to behold, with hundreds of unique titles at your disposal. Best of all, they come in a large variety of themes and aesthetics, giving you many choices as to what to play. NetEnt’s music-themed titles are always among the most popular and it should be expected, considering their entertainment value. We are, of course, talking about Guns N Roses, Jimi Hendrix and Motorhead. If you are in the mood for some animal themes, then you can try your hand at the likes of White Rabbit, Pink Elephant, and Mermaid Millions, among others. Mythology slots are some of the best out there and Slot Station offers you titles like Thunderstruck II, Avalon II – Quest for the Grail, Rise of Olympus and many more. Naturally, you will also have the all-time classics in the gambling industry, with titles like Starburst, Immortal Romance, Gonzo’s Quest, Reel Rush, Twin Spin and many others. 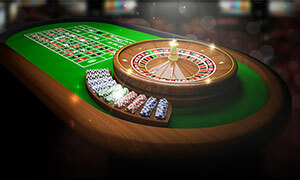 Roulette is an all-time classic casino genre and it is one of the best that you can play at Spin Station. At this gambling website, you will have several different roulette variations at your disposal. The European Roulette variation is the most common one that you will find at Spin Station, with games like Roulette Advanced, European Roulette Gold and European Roulette, being some of the more high-profile options. With a house edge of 2.7% and a wide range of betting options, you should have a great time. Alternatively, you can also try your hand at the French variation of which you will find a single title. Though it does feature three different versions, each with a different set of betting limits, allowing casual players, high rollers and anyone in between to enjoy the game to its fullest extent. Other interesting roulette variations at Spin Station include Roulette Master, Double Ball Roulette and American Roulette. In terms of pure odds, they do not surpass the French and European variations but they do offer a slightly different experience and you should maybe give them a shot. If you want to have some control over your gambling and not leave everything to pure chance, then blackjack is the game for you. It has been around for centuries and it is the face of casino gaming. At Spin Station, you will find several interesting blackjack variations, each with a different spin on the base gameplay. Blackjack Double Exposure Pro is one of the more unique types, giving you a full view of the dealer’s hole card before they start drawing more. This way you can make some better decisions as to how you will play out your hand. This variation offers three different versions, each featuring different betting limits. Single Deck Blackjack is a NetEnt variation that is only played with a single 52-card deck, unlike many others which feature between 6 and 8. The appeal of this game is that it offers much better odds than multi-deck blackjack games. Much like the previous example, Single Deck Blackjack also comes with Low, High and Standard betting limits. Microgaming’s Gold Series also makes an appearance at Spin Station in the form of Classic Blackjack Gold and European Blackjack Gold. These titles stand out from the pack with their high attention to detail and somewhat better visuals. As far as odds are concerned, they are also some of the best out there, giving excellent return-to-player percentages. 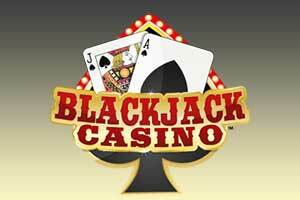 If those are not the games for you, then you can always try your luck on the likes of Blackjack Buster, Blackjack Lucky Ladies, Blackjack 6 in 1, Atlantic City Blackjack Gold, Pontoon and more. Video poker has never been more popular in the eyes of the public and Spin Station seeks to capitalize on the demand for this game type. While the video poker selection could stand to see some improvement, particularly in the number of available games, the titles that it offers include many of the classics. Microgaming’s Jacks or Better is one of the most iconic variations of video poker on the Internet. The gimmick of this version is that the minimum qualifying hand is a pair of Jacks or higher. It offers the so-called 9/6 full pay game, giving you the best odds as far as the house edge is concerned. Betting limits go up to 5.00 units of currency per coin, with up to 5 coins per hand. The highest payout is 4,000 coins for a Royal Flush. Aces and Eights is another popular video poker variation that you should certainly take an interest in. This version places high emphasis on forming combinations with Aces and Eights. The highest payout is 4,000 coins, while the betting limits allow for up to 25 units of currency, with 5 units per coin and up to 5 coins per hand. Other interesting video poker titles include Deuces Wild Double Up and Joker Wild Double Up. Progressive jackpots come plenty at Spin Station and you will have access to the most popular ones on the market. While there are dozens of this type of game at the online casino, we will only give a few brief examples, giving you some idea of what you can play. Divine Fortune comes to us courtesy of NetEnt and it portrays Ancient Greek mythology. The 5 reels of this slot are adorned with 20 paylines, giving you the option of betting up to 10 on each line. With the maximum coin value set to £0.50, this gives us a maximum bet of £100.00 per spin. 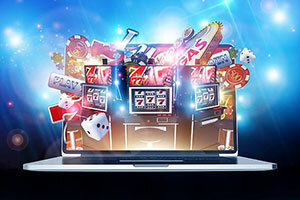 The progressive jackpot can often be seen in the six-figure range and can be won from the Jackpot Bonus Game, triggered by collecting 3 bonus coins. Mega Moolah is arguably the most recognizable progressive slot on the market. Featuring a Savannah theme, Mega Moolah also offers one the largest seven-figure jackpots in the industry. Betting limits only extend to £6.25 per spin, but the enticing jackpot may cause you to overlook the low margin. Speaking of the jackpot, there is no one way that you can win it. It is triggered randomly after a random spin. Treasure Nile is one of the oldest progressive slots out there and while it has certain aged, it still retains its charm. This game comes with an Ancient Egypt theme, portraying the Egyptian culture and the wealth of the ruling pharaoh. As for the gameplay, you will find 5 reels and 9 paylines. The betting limits are somewhat constrained, allowing for a maximum wager of £4.50 per spin. The jackpot can be your if you manage to spin 5 Pharoah symbols on the ninth payline while playing on the maximum bet. If those are not up to your standards, other popular progressive games include Major Millions, Cashsplash, Mega Fortune, Vikings of Fortune, WuXing, Paws of Fury, Fruitinator and others. The live dealer selection comes last on our list, but it is not be overlooked. Here you will find some of the best live dealer titles on the market, with software providers such as Evolution Gaming taking centre stage. The live dealer selection offers the most popular table games in the casino industry, hosted by an experienced dealer in a professional studio. Naturally, we are talking about games like blackjack, roulette, casino poker, baccarat and Dragon Tiger. The betting limits are quite wide, with a normal table featuring bets ranging from £1.00 to £1,000. What is the verification procedure? 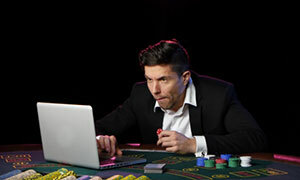 The verification procedure is done so that the casino can confirm your identity before the staff issue a payment to you. It is demanded by the laws and regulations governing Spin Station with the purpose of reducing the amount of underage gambling and money laundering. All in all, it is a necessary evil and there is no way around it. How many games are available at the mobile casino? While we cannot give you a precise estimate of how many games you will be able to play, we would like to place some emphasis on the fact that Spin Station is a fully modern online casino. As such, it includes the latest software available in the industry, which makes mobile gaming possible. While there is always the possibility of some games not being available on mobile, the vast majority of them will be. Do I have to play with a bonus? The bonus is completely optional and you can choose to claim it or forgo it at your own discretion. In case you receive a bonus that you did not ask for, you should contact the support team and have them remove the bonus funds from your balance. Yet, we recommend that you look at the bonus conditions as they are certainly fair.